The CITES is an international agreement between governments which regulates international trade in wild fauna and flora. President Jacob Zuma opened the 17th Conference of the Parties (CoP) to the Convention on International Trade in Endangered Species of Wild Fauna and Flora (CITES) on 24 September 2016 at the Sandton Convention Centre in Johannesburg. The aim of the conference is to ensure that international trade in specimens of wild animals and plants does not threaten their survival. Regulations must ensure that trade of animals such as rhinos and wild ginger is in a way that ensures that future generations continue to benefit from them, and that they do not become extinct. Levels of exploitation of some animal and plant species are high and the trade in them, together with other factors, such as habitat loss, is capable of heavily depleting their populations and even bringing some species close to extinction. Many wildlife species in trade are not endangered, but the existence of an agreement to ensure the sustainability of the trade is important to safeguard these resources for the future. The CITES CoP17 Conference runs until 5 October 2016 and is attended by around 3 500 delegates, including ministers and government representatives from the member countries, representatives from intergovernmental and non-governmental organisations, civil society and other stakeholders. 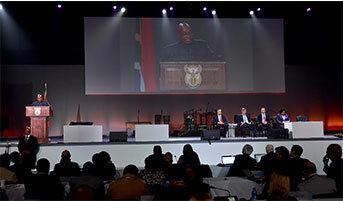 South Africa offered to host CITES CoP17 at the 16th COP that took place in March 2013 in Bangkok, Thailand. It is the fourth to be held on the African continent since 1975, and the first on the continent since 2000. The conference affords South Africa an opportunity to showcase its rich biodiversity and successful conservation initiatives based on sustainable use management practices. This has resulted in the country becoming one of the leading conservation countries in the world today and having saved species such as the black and white rhino and elephant from near extinction in the past century. It also provides the country with an opportunity to influence decision-making relating to the international trade in endangered species; highlight the importance of these activities in sustaining livelihoods and economies; and emphasise the negative impact of illegal wildlife trade on, among other things, species conservation, socio-economic issues and security. As outlined in the National Development Plan, the country’s commitment to conservation includes the sustainable utilisation of natural resources, which contributes to socio-economic development of poor and rural communities. Topical issues such as interventions to address the poaching of elephant; the proposed listing of elephant, lion, rosewood species and sharks; as well as the illegal trade in rhino horn and pangolin, are on the agenda. South Africa was one of the first signatories to CITES in 1975 and continues to play an active role in the implementation and enforcement of the convention. Today, 183 parties are signatory to the treaty, which has as its aim to ensure that international trade in specimens of listed wild animals and plants does not threaten their survival in the wild. President Zuma reminded leaders that “South Africa has been calling for‚ and we will continue to call for‚ the fundamental reform of the UNSC in order to ensure the representation of Africa”. 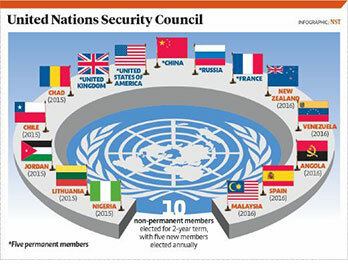 “One billion people cannot continue to be denied a voice‚” President Jacob Zuma told world leaders in reiterating South Africa’s call for “fundamental reform of the United Nation's Security Council (UNSC)”. It “is supposed to act in our collective interest without being bogged down by domestic narrow interests of few states”‚ he said during his recent address to the UN General Assembly. But‚ the President added‚ “the situation in Libya‚ South Sudan and the Central African Republic remains a continental priority”. “We strongly urge the UNSC to better align and coordinate with the AU in efforts to bring about peace in these sister countries and the continent at large‚” he said. President Jacob Zuma handed over the position, which South Africa assumed since 2015, during the five-year anniversary event on the margins of the United Nations General Assembly in New York, recently. Georgia will be the incoming support chair for the partnership. South Africa has officially handed over the Open Government Partnership (OGP) leader chair position to France. Formed in 2011, the OGP is an international initiative to bring together governments and civil-society organisations to promote open governance. Participating countries have to endorse a declaration, provide action plans developed with public consultation and agree to their independent monitoring implementation. Since its inception, the organisation has grown from eight members to 70. President Zuma said this was a “clear testimony of the importance of open government in the progress of humanity and a reflection of your resolve to ensure that the future is brighter than the present”. He said the OGP community had the responsibility to ensure that the partnership remained true to its fundamental principles of voluntarism. President Zuma also reflected on South Africa’s tenure as chair the OGP. South Africa used its position to champion the Open Government Declaration on the implementation of the 2030 Agenda for Sustainable Development, which will see OGP member countries incorporating sustainable development goals in their OGP country action plans. South Africa also prioritised legislative openness, open data and broadening civil-society participation to include grassroot organisations and vulnerable groups within the OGP. The South African Government condemns in the strongest terms, the attack on the army base of the 12 Infantry Brigade, which occurred on 18 September 2016, in the town of Uri near the Line of Control in Kashmir. 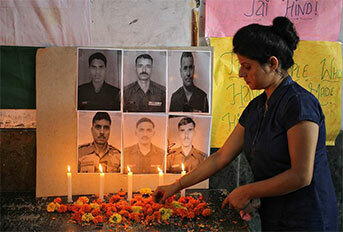 Eighteen Indian service personnel were reportedly killed and 20 injured in the early morning attack. South Africa condemns the use of violence to achieve political goals and aims, in any form and from whichever quarter. South Africa’s foreign policy is guided by the vision to promote international peace and stability and believes that terrorist acts cannot be allowed to subvert the promotion of peace, democracy and stability. President Jacob Zuma has expressed concern over the violent incidences that took place in the past few days in the DRC, resulting in the deaths of people, leaving many injured and causing physical damage to infrastructure in the country. President Zuma calls upon on all the parties in the DRC to participate in the Inclusive National Dialogue, as facilitated by Edem Kodjo on behalf of the African Union, and supported by regional and international institutions. The National Dialogue is aimed at bringing peace in the DRC through dialogue leading to the adoption of a road map to national elections. 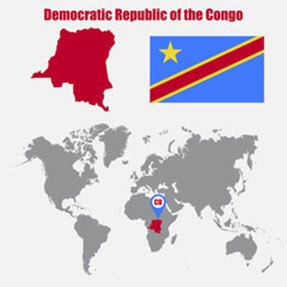 South Africa, which has partnered with the people of the DRC for the past two and half decades, continues to provide support to the people of the DRC to achieve lasting and sustainable peace, security and development in the country, said President Zuma. In conclusion, President Zuma extended his condolence to the families of all those who lost their lives and wished the injured a speedy recovery. World leaders at the UN have adopted the New York Declaration, which expresses the political will to protect the rights of refuges and migrants. At the opening of the UN General Assembly's first-ever summit on refugees and migrants, world leaders, including President Jacob Zuma, adopted the landmark declaration, which contains bold commitments. The commitments pave the way to negotiations aimed at an international conference and the adoption of a global compact for safe, orderly and regular migration in 2018. Support countries that are rescuing, receiving and hosting large numbers of refugees and migrants. Find new homes for all refugees identified by the Office of the UN High Commissioner for Refugees as needing resettlement. Expand the opportunities for refugees to relocate to other countries through, for example, labour mobility or education schemes. Strengthen the global governance of migration by bringing the International Organisation for Migration into the UN system. Addressing the summit, President Zuma welcomed the declaration, saying it would help alleviate the plight of refugees and migrants and pave the way for equitable burden-sharing among states. The President recognised that the large movements of refugees and migrants presented unique challenges to affected states. “Our common humanity requires that we respect each person's human dignity in equal measure. No instance should enjoy more attention and concern than the other,” he said. In order to adequately address the forcible displacement of people, President Zuma told the summit that it needed to address the root causes of this phenomenon. “Underdevelopment is a key driver of the displacement of people and in turn can lead to armed conflict. A concerted global effort to address the questions of underdevelopment and armed conflict should therefore be a central focus of all member states,” President Zuma said. The African continent is no stranger to the challenges that the movement of refugees and migrants bring. President Zuma said the African Union aspired, under its Agenda 2063, to silence all guns by 2020. “There cannot be economic prosperity and sustainable development without peace on the continent,” he said, stressing that South Africa has dedicated itself to this crucial aspiration. The outgoing UN Secretary General, Ban Ki-moon, congratulated the member states for adopting the declaration, saying the “summit represents a breakthrough in collective efforts to address the challenges of human mobility”. Deputy President Ramaphosa said Heritage Day reminded South Africans that they were all Africans, not just individuals and groups who happened to occupy the same geographical space. Deputy President Cyril Ramaphosa says Heritage Day gives South Africans an opportunity to reflect on their history, their cultural heritage, their rituals and their languages. “It obliges us to pay attention to the values upon which we seek to build a united and prosperous nation,” he said at the national Heritage Day celebrations in Galeshewe, Kimberley, in the Northern Cape. “It must also remind us that from a history of racial division and social exclusion, we need to work tirelessly to forge a common future founded on equality, compassion and social justice. “Heritage Day must also serve as a reminder that education is not only Africa’s proud heritage, but remains the most potent asset in the hands of our people to restore their dignity. We must cherish the opportunity to learn and we must jealously guard the instruments of learning,” he said. The Deputy President also called on South Africans to pay tribute to South Africa’s Living Human Treasures. “Living Human Treasures are custodians of indigenous knowledge systems. They are living legends who possess rare insight into our culture, oral history and past lived experiences. “They are an irreplaceable asset because of their stellar contribution to cultural heritage, social cohesion and nation-building. They represent specialist knowledge and information which have been sustained over generations through memory and oral tradition,” he said. According to the Deputy President, the intangible heritage provides communities with a sense of identity and belonging. “South Africa’s interest in recognising and safeguarding this living heritage is part of our nation’s aspiration to guarantee the full potential of its diverse, yet shared, future”, he said. He called on communities to assist government in identifying many more deserving individuals who were custodians of indigenous knowledge. He said the youth must be nurtured in the ancient wisdom that had been passed from generation to generation. The hosting of this year’s People and Parks Conference formed part of the building blocks towards the Seventh Conference of the Parties to the Convention on the International Trade in Endangered Species of Wild Fauna and Flora (CITES) from 24 September to 5 October 2016. The Minister of Environmental Affairs, Edna Molewa, officially opened the Seventh People and Parks Conference at the Accolades Boutique Venue, Midrand, on 20 September 2016. The Seventh People and Parks Conference, which was convened under the theme: “Unlocking Protected Areas' Economic Potential”, brought together more than 500 role players from different spheres of government, representatives of communities living adjacent to protected areas, conservation authorities, non-governmental organisations, civic organisations, academic institutions, traditional leaders and land owners. South Africa is home to more than nine million hectares of protected areas network, which includes national parks, nature reserves and world heritage sites, equating to about 8% of the country’s land. These protected areas, among other things, serve as sites for conserving South Africa’s ecosystems, protecting high biodiversity value and providing ecosystem services. Most of these protected areas are geographically located in rural areas, forming an integral system with rural communities whose livelihoods and cultures are closely dependent on. The biennial conference provides a platform for stocktaking on progress being made in addressing land claims issues affecting protected areas and measures instituted to facilitate the contribution of protected areas in the enhancement rural livelihoods. The two countries this year commemorated the 20th Anniversary of the Nelson Mandela-Fidel Castro Medical Doctors’ Programme. South African Deputy Health Minister, Dr Joe Phaahla, recently met his Cuban counterpart, Dr Marcia Cobas Ruiz, to evaluate existing bilateral agreements in the field of health. The two visited Tembisa Hospital in Gauteng’s East Rand as part of a programme aimed at strengthening health cooperation between South Africa and Cuba. Deputy Minister Phaahla said there were approximately 900 fourth-year medical students from South Africa who were studying in Cuba, and who were expected to return to the country in their final year in 2018. He said Cuba and South Africa’s bilateral agreements dated as far back as 1996 when the Health Ministry, through a bilateral agreement with the Ministry of Public Health of Cuba, initiated cooperation in the health field. The cooperation, known as the Nelson Mandela-Fidel Castro Collaboration, consists of three elements, including the undergraduate training programme; recruitment and exchange of health professionals and academics; and exchange in biotechnological and innovation in health. Deputy Minister Phaahla said the programme was established with the aim to address the shortage of health professionals in South Africa, particularly in underserved and rural areas. “South Africa has mostly enjoyed the benefits more than Cuba so far,” said the Deputy Minister. He said the programme provided opportunities for young South Africans from rural and disadvantaged communities to be trained in the field of medicine. He said the annual intake and output of qualified doctors per annum from South African medical schools were inadequate in numbers. “There are about 450 Cuban doctors working in many parts of South Africa … In Gauteng alone, there are more than 50 of them,” he said. 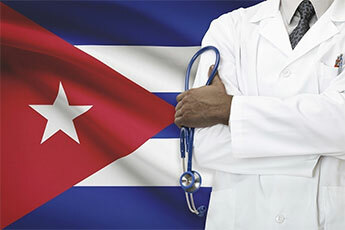 At the moment, the Cuban doctors who work in South Africa are on a three-year contract. Deputy Minister Cobas Ruiz, who also interacted with some of doctors from her country working in South Africa, said Cuba had similar cooperation with about 30 African countries. The declaration was adopted through the landmark UN General Assembly Resolution 41/128 of 1986. The Deputy Minister of International Relations and Cooperation, Luwellyn Landers, on 23 September 2016, participated in a high-level meeting on the sidelines of the General Debate of the 71st Session of the UN General Assembly in New York, to mark the 30th Anniversary of the UN Declaration on the Right to Development. The rationale behind the UN Declaration on the Right to Development is to create conducive conditions at national, regional and international levels so as to ensure the constant improvement to the quality of life of people everywhere. Therefore, the right to development encapsulates the practical enjoyment of all human rights and fundamental freedoms by all people. In this regard, Deputy Minister Landers stressed that: "The right to development is indispensable. It is intrinsically linked to the enjoyment of economic, social and cultural rights, which are essential in ensuring the enhancement of the quality of life of those afflicted by extreme poverty. The notion of the right to development is therefore central and underpins the achievement of the millennium development goals, sustainable development goals and other internationally agreed development goals." One of the major concerns and key challenge is the absence of consensus on the means of implementation for the attainment of these goals and development. "We require a paradigm shift from posturing and the apparent lack of political will to take concrete steps for the commitment of the requisite resources at all levels necessary to the achievement of these goals," said the Deputy Minister. The South African Constitution internalises the letter and spirit of the UN Bill of Rights as contained in Chapter 2 of the UN Charter. The economic, social and cultural rights in the South African national context, are a legitimate subject of litigation in courts of law. Deputy Minister Landers mentioned that South Africa's national position had inspired and confirmed the notion of justiciability and the progressive realisation at the level of the UN human rights system. "We believe fully in the General Recommendations 9 and 12 of the Committee on Economic, Social and Cultural Rights," said the Deputy Minister. The programme offers incentives designed to drive growth and promote competitiveness in the manufacturing sector. 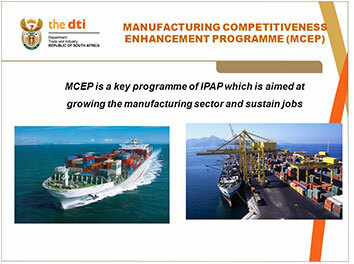 The Department of Trade and Industry (dti) has reopened applications for the Manufacturing Competitiveness Enhancement Programme (MCEP). “The current reflows of the industrial financing loan facility allow for a reopening of another window for pre- and post-dispatch working capital loans, limited to R50 million for each qualifying manufacturer at a fixed rate of 4% per annum. “In addition, the facility will provide funding of up to R50 million for plant and equipment to all qualifying start-up and existing black industrialist businesses at the same rate which is payable over a period of 84 months,” dti Minister Rob Davies said recently. The programme, which was suspended in October 2015, includes a package of incentives specifically designed for established manufacturers with the aim of promoting competitiveness and retaining jobs. The programme was suspended due to the large number of applications far exceeding the funds set aside for the programme. Over R5 billion that was originally set aside for this MCEP was fully committed. The MCEP was designed as an instrument to support enterprises in the production sectors of the economy soon after the onset of the global economic recession to weather adverse market conditions. This was also to secure higher levels of investment, raise competitiveness and retain employment. The programme consists of the Production Incentive, which is administered by the Incentive Development and Administration Division and the Industrial Financing Loan Facility administered by the Industrial Development Corporation (IDC). The Production Incentive was temporarily suspended in October 2015. The MCEP supported 1 153 entities to the value of R7,2 billion with acquisition of capital equipment and reengineering of business processes to improve their competitiveness under the Production Incentive, of which R4,1 billion has already been disbursed. The programme leveraged approximately R30,8 billion in private-sector investment and retained over 200 000 jobs across all priority sectors. The Industrial Financing Loan Facility which is administered by IDC, approved working capital loans to the value of R988 million of which 78% has been disbursed. A total of 1 553 jobs have been saved and 7 933 jobs have been created through this facility. Companies can access the programme online at http://www.investmentincentives.co.za/MCEP through the IDC website. 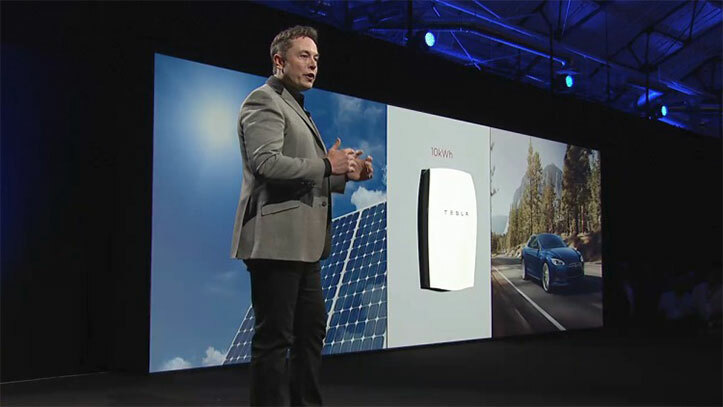 Tesla Motors designs, manufactures and sells electric car components and batteries. The founder of the company is South African-born, Elon Reeve Musk. The Minister of Trade and Industry, Rob Davies, has encouraged United States automotive and energy storage company, Tesla, to explore the possibility of setting up shop in South Africa. The company expressed interest of investing in South Africa during a recent business breakfast session in Washington, DC in the United States of America (USA), where Minister Davies was addressing investors. The Minister was in the USA to attend the 15th Africa Growth and Opportunity Act (AGOA) Forum. Minister Davies indicated that South Africa’s automotive programme already had an additional incentive that applied to electric vehicles. He further stated that government understood that electric vehicles were where things were going, including hybrids and fuel cells. The business breakfast preceded the one-day AGOA Forum, which is an annual forum that takes place on an alternating basis between sub-Saharan Africa and the USA. The theme for this year’s forum was “Maximising US-Africa Trade and Investment: AGOA and Beyond”. The forum focussed on the implementation of AGOA utilisation strategies, as well as, the US-Sub-Saharan Africa trade and investment relationship beyond AGOA. AGOA is a unilateral US trade preference programme that provides duty-free, quota-free treatment for over 6 400 tariff lines into the US market. When comparing July 2016 with July 2015, the increase in tourist arrivals for the following regions are: Asia increased by 47,7%, followed by Middle East (35,1), North America (26,1%), Central and South America (24,4%), Europe (17,5%) and Australasia (16,4%). The least increase was recorded in Africa, including the Indian Ocean Islands (9%). 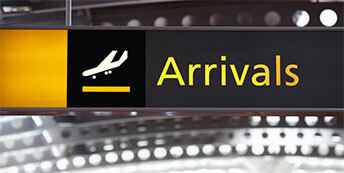 The current trend in the last few months of growing tourism arrivals in South Africa continues unabated. A total of 822 416 tourist arrivals were recorded for July 2016, which is an increase of 12,2% (89 525) compared to the same month of the previous year. There was an increase of 131 002 tourists in July 2016 compared to the same month in 2016. “We are greatly encouraged that all regions are experiencing an increase in tourist arrivals,” said Victor Tharage, Director-General of the Department of Tourism. This can only serve to motivate both government and the tourism industry to increase its efforts in terms of marketing the country as a value-for-money destination, ensuring that once tourists arrive, they receive excellent service across the board. All South Africa’s major overseas markets performed well in July 2016. Among traditional overseas markets, the United States of America (USA) grew by 19,8%, while Germany increased by 21,1% and the United Kingdom by 11,7% from Jan-July 2016. Even non-traditional source markets such as India (28,1%) and China (63,7%) also experienced growth during the same period. Lesotho was the largest African source market, while the USA was the largest overseas source market for South Africa. Compared to July 2015, the Netherlands moved from the ninth to eighth as a source market, replacing Namibia. China replaced India by moving from 16th place to become South Africa’s 15th source market. Belgium replaced Italy, becoming South Africa’s 18th source market. For overseas markets, the highest increase in tourists was from China (64%), moving from 5 402 in July 2015 to 8 858 in 2016. France also had an additional 3 520 tourists visiting South Africa in July 2016 compared to July 2015, which is a 40% increase. Lesotho experienced the highest increase for the African markets with an additional 37 404 tourists which is a 29,9% increase from July 2015. China and Russia are among the top tourist markets for South Africa. About 30 South African tourist guides and frontline staff are being trained to communicate in Mandarin and Russian. The three-month training programme of the Department of Tourism is focussing on language tutoring, reading and writing skills, and a course on the culture of both countries. Speaking at the launch, the Deputy Minister of Tourism, Tokozile Xasa, said the Foreign Language Training Programme would also offer the staff insights into the cultures of the various societies associated with the languages. “Frontline staff play a critical role in how tourists perceive a country and equally so, tour guides are a vital part of the tourism value chain,” Deputy Minister Xasa said. The programme will also help to enhance the overall visitor experience and satisfaction, while creating market access opportunities and even employment for the guides and frontline staff, she said. The Russian language training targeted 10 tourist guides from selected provinces and was based on a needs analysis of the guiding sector in terms of the availability of specialised language skills. 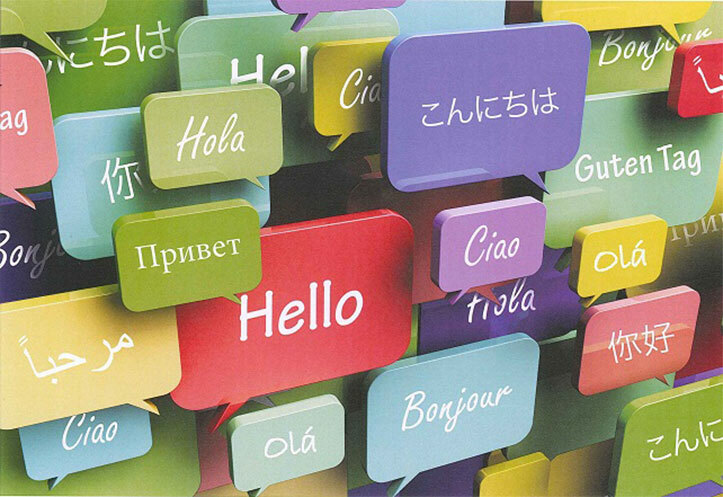 Eight candidates from KwaZulu-Natal and the Western Cape are being trained in the Russian language, while 20 trainees started the Mandarin language training which will be implemented at two separate venues in Gauteng. The National Department of Tourism will provide transportation, accommodation and food and will also cover other costs related to the implementation of the training programmes. The Mandela Washington Fellowship is the flagship programme of President Barack Obama’s YALI, created in 2014 to deepen the United States’ (US) engagement with the youth of Africa. The US Embassy in Pretoria is inviting interested South African candidates to apply for the 2017 Young African Leaders Initiative (YALI) Mandela Washington Fellowship. The Embassy said the fellowship had been successful beyond its expectations in the past three years. The fellowship will engage up to 1 000 young leaders from all over the continent. “The programme begins with six weeks of academic and leadership training at a US university, with a focus on one of three tracks: business and entrepreneurship; civic leadership; and public management, followed by a summit in Washington DC, attended by business, government and NGO leaders,” the US Embassy said. One hundred selected fellows will also participate in a six-week professional development experience with an American NGO, company or government office. Upon return to their home countries, fellows continue to build their skills through support from US embassies, the United States Agency for International Development, the United States African Development Foundation and other partners. In South Africa, YALI alumni are already growing innovative businesses, forging durable networks with young leaders across Africa and deploying freshly honed skills in their communities. Applicants for the fellowship must be citizens and residents of South Africa (or one of the other participating countries). They must speak and write English proficiently and be between 25 and 35 years old when the application is submitted. They must have a proven record of leadership and accomplishment in public service, business or entrepreneurship or civic engagement, and demonstrate commitment to public or community service, volunteerism or mentorship. They must be committed to return to Africa and use their skills to serve their community. The embassy has assured that applicants will not be discriminated against on the basis of race, colour, gender, religion, socio-economic status, disability, sexual orientation or gender identity. To stand in the prison cell of former President Nelson Mandela at Robben Island is a privileged opportunity many will never know. 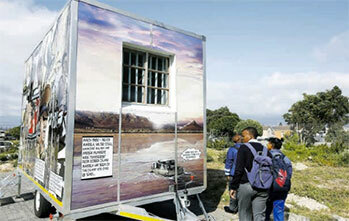 As a result‚ a portable replica of Madiba’s cell will make its way to various schools across the country. Home Affairs Minister, Malusi Gigaba, unveiled a replica of the cell at a Cape Town school on 26 September as part of Heritage Month‚ to enable young people who have never been to the Robben Island Museum to get a personal perspective of the history that unfolded there. Speaking to TMG Digital this week‚ the creator behind the replica‚ Philip Keys from Moonlighting Film Productions‚ said the key purpose of the initiative was for students to see‚ feel and experience what it might have been like in that cell. However‚ Keys‚ who has been in the film production industry for over three decades‚ said that the initiative also formed part of “an educational drive” to inform students about the film industry and the opportunities that existed within it. “The cell has been built in such a way in that it’s pretty robust and it’s easily moveable. With the right vehicle towing it‚ it can get to fairly out-of-the-way places. It goes around by way of explanation of what you can do in the film industry‚” he said. Pumelelo the buffalo calf entered the world on 28 June, the first Cape buffalo conceived through in vitro fertilisation (IVF). Three years and 20 failed attempts later, the world's first test tube buffalo calf has been born on a dusty farm in Limpopo, a breakthrough in the fight to preserve endangered animals. “This breakthrough is of great significance as it is the first of its kind in the world and holds great promise for the continued survival of endangered species,” said Morné de la Rey, MD of Embryo Plus. Pumelelo was born on the Lekkerleef Buffalo Ranch of Frans Stapelberg, near Marble Hall, Limpopo. De la Rey said the process was not easy, but the success of the procedure would lay the foundation for the prospective breeding of endangered species. Two other South African restaurants made the list: The Pot Luck Club in Cape Town where Robinson listed her favourites as the chickpea fries and pig’s head; and the East Head Café in Knysna on the Garden Route‚ where the breakfasts were labelled “utterly memorable”. The traditional braai taste sampled alongside Kwaito in a township lounge is now on the world stage‚ with a Durban joint being chosen as one of the 207 best restaurants in the world. Max’s Lifestyle in Umlazi won the accolade from the influential Conde Nast Traveller magazine‚ which compiled the list with its network of chefs‚ food writers‚ and foodie tourists. 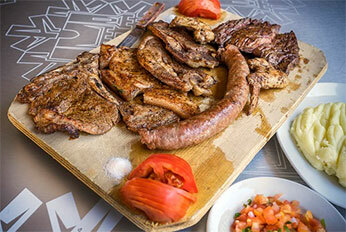 “The best place to get braai‚ amazing South African-style grilled meat. Go on a Friday or Saturday night to hear local Kwaito music‚” reviewer Cherae Robinson said. South Africa also featured several times in the Condé Nast list for "The Ultimate Travel Top 60", which identifies the best of the best tourism attractions and facilities around the world. Tourism in South Africa is maintaining its winning streak, as the country continues to attract international awards and welcome tourists from around the world in growing numbers. In the latest accolade bestowed on South Africa, the entire country, its cities and tourism attractions featured prominently in the Condé Nast Traveller's Readers' Travel Awards for 2016. South Africa was ranked fourth on Condé Nast’s list of the Top 20 countries in the world to visit, ahead of destinations like France, Spain, Thailand, Morocco and Australia, which have been favoured by the world’s tourists in the past. Cape Town was named the culinary capital of the world. The Bushmans Kloof Wilderness Reserve & Wellness Retreat was placed 20th on the list, with South Africa as a country destination at number 21, Cape Town at 53 and Singita Sabi Sands at 54. 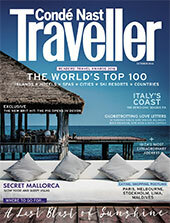 The Readers' Travel Awards also named South Africa as a fantastic destination when it comes to value for money, putting it among the most affordable destinations in the world. The awards focussed individually on Franschhoek, Johannesburg, the Kruger National Park, Londolozi private game reserve, Plettenberg Bay, the Garden Route and the Great Karoo as key attractions. At its recent Travel Week conference in Las Vegas, Virtuoso recognised & Beyond Phinda Private Game Reserve in KwaZulu-Natal for Sustainable Tourism Leadership at its annual Best of the Best Awards. Phinda was hailed as a conservation leader that is now one of the world's most successful ecotourism projects. At this year’s African Responsible Tourism Awards, Shark Spotters was a Gold Winner in Innovation for its pioneering work in keeping swimmers at Cape Town’s beaches safe, while protecting sharks and creating employment. The Bushmans Kloof Wilderness Reserve won a Gold Award for conserving over 130 unique San rock art sites. Sani Lodge Backpackers and Drakensberg Adventures were awarded for their contribution to local livelihoods and poverty reduction. The National Department of Tourism won the Best Public Policy award, for recognising that tourism has a responsibility to make a significant contribution to making South Africa a better place to live in. Pretty will next perform the role of “Rosina” in "Il Barbiere di Siviglia" in January and “Juliette” in "Romeo et Juliette" in March at The Met in 2017. 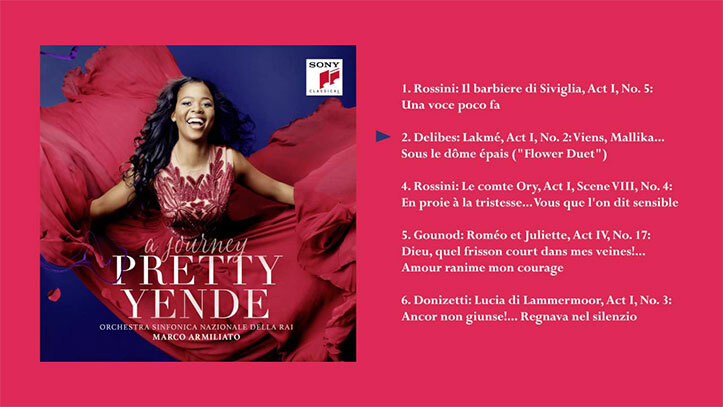 Internationally renowned opera singer and Piet Retief native, Pretty Yende, has thanked her South African fans for all their support after her debut album A Journey went straight to the top of the charts! Born into a musical family in Piet Retief, Pretty grew up singing gospel music in church. In 2001, she heard the Flower Duet from "Delibes opera Lakme", in a television commercial … and her love for opera bloomed. After seven years of performing live around the globe – at some of the most prestigious opera houses (including her most prized Metropolitan Opera House in New York), Pretty has released her debut CD which highlights some of the best moments of her career. The following day, she declared it was one of her most treasured ‘tomorrows’… as the album made it to Number 1 on the Classical Charts on iTunes and the top five on the main charts. South African comedy legend and host of Comedy Central’s "The Daily Show" Trevor Noah, is heading home to host the sixth edition of the MTV Africa Music Awards Johannesburg 2016. 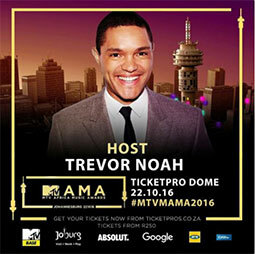 Of his hosting gig, Trevor said: "I'm a huge fan of African music and achievement, and it's going to be a massive pleasure celebrating them both at the MTV Africa Music Awards 2016 in my own home town of Johannesburg." Senior Vice President and Managing Director of Viacom International Media Networks (VIMN Africa), Alex Okosi, said: "Trevor Noah is an outstanding entertainer, and testament to the amazing talent that Africa has to offer the world. "To have him host the MAMA, our annual celebration of Africa music, creativity and achievement, is a powerful and inspiring message. We are delighted that our first-ever show in Johannesburg will be presented by one of the city’s most loved and admired personalities." Noah will preside over the live two-hour telecast at the Ticketpro Dome in Johannesburg on 22 October 2016, featuring performances from stand-out African stars like Alikiba, Babes Woduma, Cassper Nyovest, Nasty C, Ycee and Yemi Alade. The MTV Africa Music Awards 2016 will broadcast live on MTV Base (DStv Channel 322) and MTV (DStv Channel 130) on Saturday 22 October at 21:00 CAT. The show will also be transmitted worldwide on partner stations and content platforms from October onwards, while MTV channels around the world will broadcast a one-hour MAMA-themed MTV World Stage. The award was decided by the South African public via a Twitter poll that ran for one week. The poll was met with a huge response, with over 40 000 voters taking part. South Africans had the option of voting for music producer Black Coffee, 2016 Olympic 800m-champion Caster Semenya, opera star Pretty Yende, and Van Niekerk. Black Coffee was nominated for becoming the first South African to win a BET Award. In June this year, the artist was the recipient of the Best International Act – Africa category. Semenya was nominated for her gold medal success in Rio, while soprano singer Yende, who has won critical acclaim in the opera houses of Vienna, Moscow, Milan and New York, has recently released her first solo album. 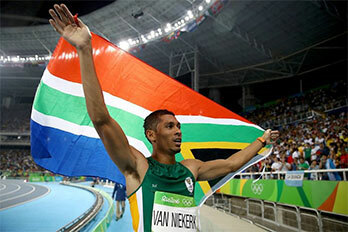 In the end, Van Niekerk’s superb run from lane eight in the Olympic 400-m final sealed the deal; not only did he claim South Africa’s first gold medal at the Rio Games (Semenya claimed the second), but his time of 43.03 seconds also broke the 400-m world record set in 1999. South Africa has a new World Champion! In an emotional finish in Aragon, Spain, recently, motorcycle racer Brad Binder finished in second place … thereby scoring enough points to become World Champion in the Moto3 Championship. It’s been an incredible season of racing for 21-year-old Binder who began in 35th position on the grid … and raced his way determinedly to the number one spot in the world … and it’s not even the end of the season yet! Binder, who has been based in Spain for the past few years, said afterwards “it doesn’t feel real yet …” His parents were in the stands to witness their son become a world champion. The Red Bull KTM Ajo racer from Potchefstroom had already won five races this season, putting him way ahead of the rest on the leaderboard. 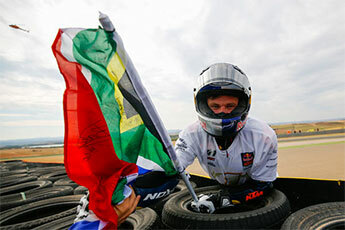 He is the third South African to win a Motorcycle Championship, and the first to do so since 1980. 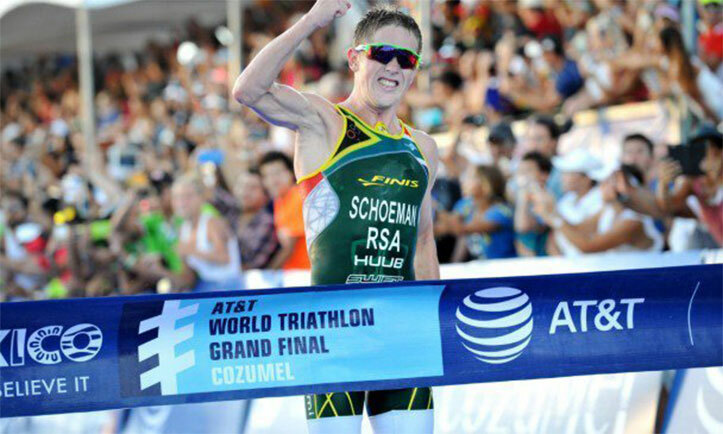 South Africa’s Olympic bronze medallist, Henri Schoeman, raced to a career-first World Triathlon Series victory at the season’s Grand Final in Cozumel, Mexico, recently. It was a dramatic finish that saw British Olympic gold medallist Alistair Brownlee forsake his own chance at victory to help his younger brother Jonny – who was almost unconscious – across the finishing line instead. The race was run in searing conditions and there was high drama as Jonathan felt the effects of the heat with less than a kilometre to run, and his brother stepped in to help. The Spanish Triathlon Federation lodged an appeal against illegal assistance but the International Triathlon Union competition jury unanimously over-ruled it. And in the end, overall series winner was Spain’s Mario Mola who beat Jonny by just four points in the season. The swim saw pretty much the same pack as in the Olympics a month ago and all three medallists were in the front pack. On the run, Schoeman stuck to Jonathan and the two were later joined by Alistair. As the drama involving the brothers unfolded, Schoeman hit the lead as the trio hit the blue carpet finish stretch. The Killarney race circuit in Cape Town will host the final round of the World Rallycross Championship in 2017 as part of a new multi-year deal with Championship promoter, IMG. The construction of a brand new rallycross track will commence later in 2016 and will be a permanent circuit. 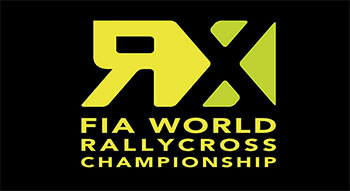 Next year will mark the first time that a rallycross event will take place on the African continent. Des Easom, executive manager of Killarney, said: “Killarney is delighted to be hosting this first of its kind event in Africa. Our thousands of loyal fans and spectators, Cape Town and its New Seven Wonders of Nature Table Mountain deserve no less. This is a thrilling, highly competitive form of racing with international appeal and media coverage. "We look forward to working with IMG and pooling our expertise and experience on the series of events. This is a great addition to our whole-year racing calendar and spectators can look forward to an international and world-class event." Paul Bellamy, World RX managing director for IMG, said: “We have been looking at South Africa as a potential new venue in World RX for some time and we are delighted to be able to announce the new deal from 2017 onwards. We are the only FIA World Championship to host an event in sub-Saharan Africa and the Killarney circuit is a fantastic facility where we can create a truly sensational season-closer. 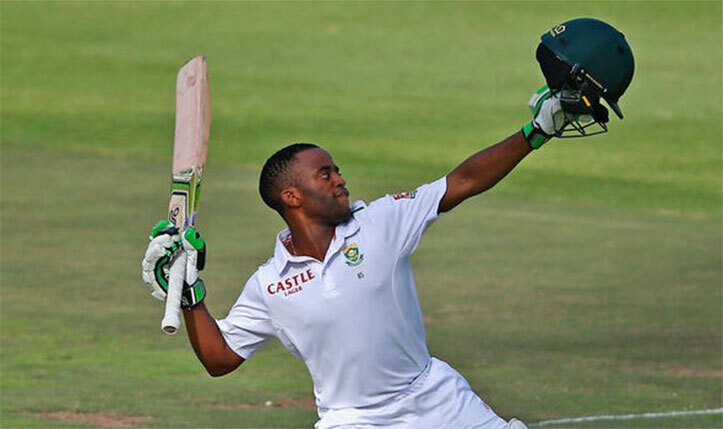 Temba Bavuma made a century on his one-day international debut to set up South Africa's 354-5 against Ireland in their one-off game on Sunday. Normally a middle-order batsman, Bavuma was selected as an opener for his first ODI and responded with 113, sharing a 159-run opening stand with Quinton de Kock (82). South Africa pounced on Ireland's decision to put the home team in to bat at Willowmoore Park. JP Duminy added 52 not out and Farhaan Behardien made 50 from 22 balls with three sixes before being caught on the boundary last ball of the innings. Ireland's bowlers struggled against the top-tier opposition. Craig Young had the best figures with 3-81.